I have had great service here. Friendly, helpful as always ready to leaned a hand. Great service. Lot's of help. 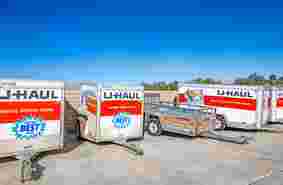 Great customer service, Very useful that they have U-Haul on the property when needed. Excellent service. Very friendly. A little bit pricey but you get what you pay for. These guys are the absolute best. They are professional, courteous and super helpful. We will rent uhauls from them every time. Peter went out of his way to check in our truck & get us the storage space we needed. Moving & storage is always hard. Thanks for making it easier! Peter and Josh are awesome always helpful friendly and just wonderful gentlemen who always smile. Been coming here for a few months to use the motorcycle trailer, both Peter Hoff and Josh Nebgen have outstanding customer service, Will definitely recommended again. Mr. Peter always top notch service. Great attitude. Just a great person. Fabulous customer service, kind and helpful. Always had hand truck to loan. Felt safe. Loved having and available restroom on site. Really liked security feature of the gate functions. 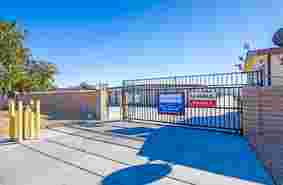 I am happy with services here with Desert Self Storage. Josh was very nice and professional. We also rented two large vehicles from Josh. Satisfied with the storage. The service was great. Prices we affordable. I would use this storage again when I need one. All ok. You guys are great. Beautiful customer service, great people skills due to a great person excellent comes into works. As an employee you are very consistent of your work. You are awesome. The guys were so helpful. Desert Self Storage always pleasant to work with. Friendly service. Explantination was undersandable. Payments online easy. Due to personal reasons I had to put almost all My possessions in the nearest storage facility ... & I've been a satisfied customer since 2003 ... The Management & Staff have helped Me keep My Unit during some difficult times & they've always been very polite curtious, compassionate, pleasant & extremely helpful since I first got My Unit in 2003 ???? We always have great service. Very nice and excellent customer service. Contacted Cat. City and got a truck for us. Peter & Josh are very nice and friendly. I recommend Desert Self Storage. Great location, ran by great lovely people who will work with you on your needs and how to save money. I know my stuff is safe where it's at. Josh was incredibly helpful and friendly specially when it came to help finding my keys when I left the U-haul. He went the extra mile and found my keys. Thanks again to Josh and staff. Service was excellent. Peter was more than accommodating. I would recommend this facility to anyone based on the service from Peter. I have been here 1 month now and so far am pleased with the service and staff. Very easy to get along with. They're always helpful and accommodating. Very accommodating for my needs. Great employees. Very courteous and helpful. I would recommend this business to anyone wanting Great Service. Clean facility and great customer service from Joshua. I would recommend this facility to other individuals. Good quality unit with nice friendly service and good prices. Living IN DHS we needed a place for storage. Found Desert Self Storage and they have been great. The best storage customer service is beyond awesome. They work with you and what suits best for you. 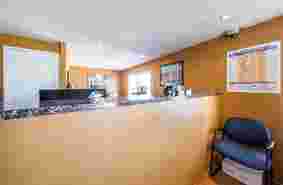 "This facility has helpful personnel and is kept quite nice. I have been happy with the service, security and so would give this facility my recommendation. Prices are fair in comparison with other self storage facilities in the vicinity." I love this location. Customer service is outstanding the service I received was excellent. Representative went above and beyond to make sure my storage needs were met and was able to get me a uhaul at the same location to make my moving experience so much easier. I have received the best service. A very nice, helpful and clear to the point person. Good people are hard to come by. Thanks again for the great service. Awesome service and location is convenient. Fuel economy is good and the trucks drive smooth. Thanks again. Loyal Customer. I've been to many U-Haul B4 and Josh at 66251 Dillon Rd, he has a great customer service & politeness is very up bringing. Also last week I pick-up U-haul out at Palm Desert/Palm Springs location and they had great customer service too! But I don't like them giving ragly trucks. The customer service was amazing and they were very helpful.. I would definitely come here again. Super, Super Friendly! Fast & Easy Transaction. Will come back in the future . Great Customer service. The AC felt great! The customer service literally cannot be beaten. Peter and Josh are polite, helpful and very knowledgeable. I have rented far too many storage units and this has by far been the most pleasant storage experience. Thanks. Highly Recommended. I've already rented a unit at this site. And now I'm getting a second unit. (Yes, I have that much stuff I can't part with right now. LOL) Pete and Josh are very friendly and professional. The location is convenient. They also do U-Haul rentals here too. All around great place. Excellent. Have no words to describe how grateful I am for your service. Everything was great. Thanks you so much. Hopefully to come back here :). Josh Nebgen keep the smiles up! Josh & Pete have been amazing in so very many ways. Especially when I was a mess. I think the fact that this facility allows partial pmnts is amazing! I've been dealing with storage units (unfortunately) for over 30 yrs & this place is by far the best in every way! The quality is great and the guys really helped me. I will definitely be back to rent a storage when I need to. Josh & Peter were super helpful. They even helped me save on my move. I will return & use their business again for sure. Peter was awesome and very nice and also helpful and the prices for the unit was great. I am going to tell my friends and family about Desert Self Storage. This is one of the best U-Haul stations we have ever been at. Peter has helped us so much. Great people to work with. Units are nice and clean and secure. Storage area and isles kept clear. Thanks for your assistance when I needed help. Everything was in my storage Nothing was tampered with and moving in and out was easy. Friendly staff. Easy monthly payments via phone and website. I recommend this storage place for anyone looking for convenient and low-cost and safe storage. I feel the service here is excellent. Very professional. Desert Storage has been great. I'm glad to be doing business with them. Always good customer service. The hours are good and place is clean. It is a pleasure working with Josh, he is professional, pleasant and polite. My family also expressed the same. Nice to chat with him in reviewing our contract. He has a lovely, heart warming smile. We love him. Was a very pleasant experience like always. The staff was effective and helpful in suggestions and availability. I will always recommend my family & friends. Dude was friendly, no upsales though. Over all visit A+. Yes I would recommend my family & friends. Overall pretty good storage and staff. Always a pleasure dealing with Peter @ his U-Haul facility. This is my second time here and fully recommend him. Great service. The price was what I was looking for. Peter Hoff was a wonderful employee. He had a storage unit available real fast. Guys were very helpful friendly and contentious. Thanks! Josh is very nice and friendly. Made me laugh. Love how clean the office is and the décor. I had a really good visit very good customer service thank you! Good Job! Staff was very helpful. Place was clean and price was very reasonable. will recommend. We were scheduled by Uhaul to pick up a 20 foot truck at 9 am at Desert Hot Springs. There was no truck here and we were told that our truck would be available in Yucca Valley. Josh Nebgen and Peter Hoff were very helpful in helping us resolve this circumstance. Quick friendly service. Very much appreciated. Thank you. I love this place! Peter &Josh are a great help. I can't believe all the trouble that came about but these gentleman were so patient and caring it was awesome. Would recommend them for Storage & Uhaul anytime! Awesome professional nice helpful. Josh and Peter are the best. Great customer service friendly and fun people, prompt and informative. They give personal service where needed. Josh and your staff were very helpful. Will return. Joshua was very friendly and helped me fix my door when it got stuck. He immediately stopped what he was doing to help me. Thank you very much. Josh and Pete were very nice and helpful. Explained to me everything I needed to know. I will be back in the future. Excellent service. Peter is awesome and great guy. Nice trucks, clean grounds and very nice. Service is excellent! Peter and Joshua have been so helpful and extremely polite. All questions were answered and we were taken out to be shown the storage room. They both could not have been more helpful. Josh gave excellent customer service and was very helpful and friendly. Will definitely be telling everyone about your storage place. Extremely informative, answered all questions and concerns we had and friendly. The staff, Peter and Josh, are excellent. People skills excellent. It was a pleasure dealing with them and your company. Thank you all. I walked in they helped me get exactly what I needed for a great price. Clean, friendly, and simple. We signed up right away. I really enjoy the no dust, dirt in my unit like previous storage. The "crew" management has been helpful and courteous. Very good people good quality and we love the security here. I enjoy the storage. The owner a very good person and very sweet. Thank you very much. 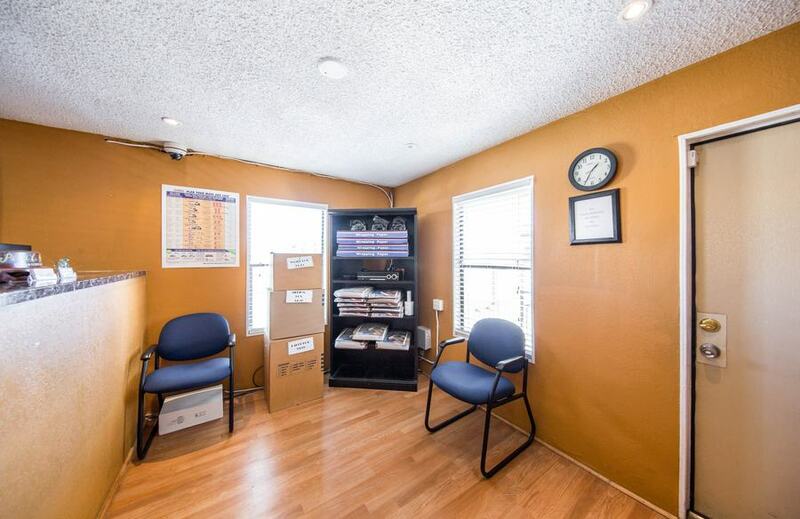 I feel compelled to let everyone know that DESERT SELF STORAGE is the place to go for your storage needs. Mr. Hoff runs a first rate operation. Keep up the good work! Totally excelled in every regard! Josh corrected situation and saved us a lot of trouble. - Great guy & service. Very helpful with U-Haul reservation and information about the storage units. I Linda Rodrigues like to say thanks you for the nice service we had have. I had rent here years ago left and came back. An now I been here for some years. The staff is the best. Thank you. We checked out several storage companies. By far, Peter and the staff were the friendliest and most accommodating. We felt comfortable and taken care of. As a local nonprofit in Desert Hot Springs, we love the fact that we can work with local businesses. Peter is fantastic to work with and is always accommodating and friendly, it is always a pleasure. They are very very friendly guys. 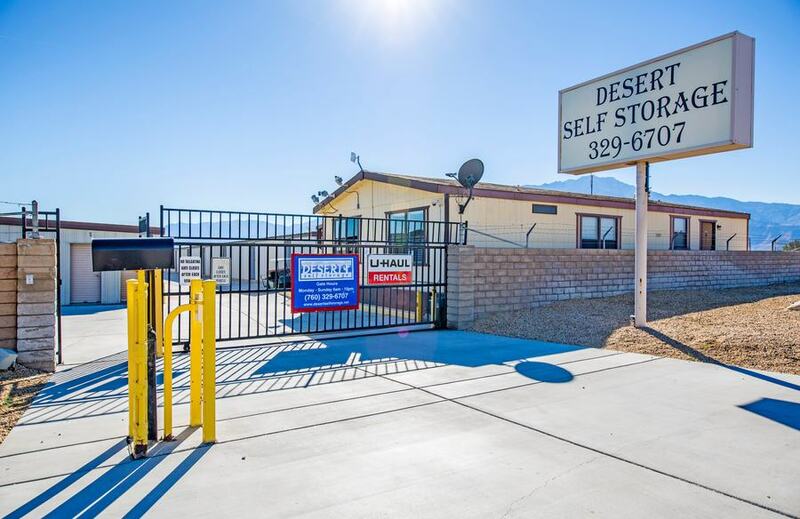 The Desert Self Storage facility in Desert Hot Springs, CA on Dillon Rd is always very clean and kept up. It's a great place to store your extra stuff. Great service Tony! Always open when I come into pay and smiles all the time. Very friendly and more than words I recommend them highly to ALL who come in contact with, God Bless you. Peter is always professional , helpful, and friendly. Hours are good for availability for our storage unit. Doing great. Very clean property. Hours are very good. Need a little more lighting. I came in with a load of stuff and no place to put it. The office had like ten people in the office. The young man behind the counter was moving back and forth on the computers. He handled all of us in like 5 min I have never watch some one work so hard and was so customer service friendly. I think his name was Tony he is a rock star. Awesome Manager. They give me excellent service. Always nice and fast to take my payments. Very nice place and people. Very good service. Nice and clean, Nice manager too. Location is great. The staff is very friendly, very helpful, and very considerate service. Peter was wonderful and very helpful. He gave me fast service and I left the office with a smile on my face. 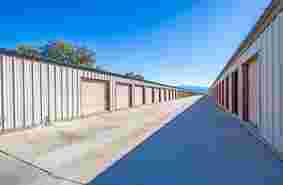 This is a great storage facility to rent from. I'm always happy and satisfied when I leave, Peter and Andrena are great. They are extremely helpful, friendly, and professional. I recommend this facility to everyone. We have been renting storage units for almost two years. We have had a lot of troubles throu8ghout these months. But through the help of Peter and of coarse God we were able to get caught up with payments. Appreciate all the service. Peter is Awesome!! I had a great experience here. Peter worked with us to find the right truck and equipment to help us move. Good people. Lots of heart and understands what the customer needs. Pete and Andrena are the best. So helpful and most kind. The customer service was great, very motivated and positive , very helpful. Ihad a great experience, was in and out quickly and got exactly what I wanted. Great customer service!! Great place to store my stuff. The staff is very friendly. Peter is very helpful and kind. A very well maintained property. Pete is always professional, cheery, reliable, and always goes the extra mile. It was a very stressful time for me when I came into your facility.. Mr. Hoff was very accommodating and helpful. Great customer service. I would definitely refer to Desert Storage. Friendly and good people to rent from. Wouldn't go anywhere else. Peter is awesome! Thank you for your patience & professionalism. Much needed @ this difficult & stressful time. Thank you Peter for your kind help in making my move and choice in storage. Great experience. I'm thankful for the management and employees. Their very helpful and in a good mood when I come in. Great service. Everything was quick and easy. Thanks again guys. They have been very helpful to my needs at a very stressful time. Moving was made easier. Have rented a truck before. Now use the storage and truck and very happy with service and staff. Thanks you. Peter is outstanding. Great conversation and efficiency. Very professional and friendly. Very good service. Employee on point with everything. All smiles! Great service online and in person! Glad to recommend to anyone. I always know Pete is here to help with all my needs. Thanks you! Great Wow! Davis and Peter did their magic and I was in my new unit within the hour. Very professional, super friendly, and most helpful. Thanks you. Very speedy service considering the busy day. Attentive and trustworthy. Good sense of humor. GREAT customer service. Great customer service. Always in a good mood and always polite. Peter was courteous and friendly. Also very knowledgeable providing useful information, products, and service. Peter is cheerful, helpful, and efficient. Thanks. Love you guys. Peter was very professional, informative about this storage facility. This was the reason I choose Desert Self Storage today. We appreciate the attention that makes us comfortable here. Very friendly and timely- Great attitude. Peter is always helpful. Great service and always willing to do whatever he can to keep the customer service. AJ was Polite, Honest and most of all.. Crazy Helpful. AJ is the Bomb.com and he knows what he is doing. Keep him!!!! Peter Hoff was very Helpful and worked with us. Im Very Thankful. AJ was a pleasure doing business with. Your Manager gave excellent customer care. I was extremely happy w/Peter. All was great. Very nice people, very good storage facility - Was very helpful that U-Haul is here as well. Thank you for making my storage rental easy . Your business has very good customer service and very professional . The guys here are awesome. Really nice and dependable. Peter was extremely nice & helpful. Everything was clearly explained to us. Did a good job on helping us get our storage unit. Managers are very nice. No problems (Very good). Excellent Service! Peter is polite & professional. Does everything correct. Thank you; enjoyed renting the vehicle. I am very pleased with your service, and your nice and clean storage. Your prices are the Best in town. Thank you so very much. Outstanding service. Peter and Rick really go out of their way to please the Customer. Rick and Peter have been absolutely fabulous. They have went above and beyond to accommodate our needs. from the beginning to end WONDERFUL service. very helpful when I drove 2 hours and forgot my key to my storage unit. Rick Did a Random act of Kindness, as he stated and cut my lock for free as I only had a few dollars. I will be back. Peter and Rick were complete and very helpful with everything. Both are an asset to your business. Don't let these guys go. Thank you for the good looking place. Wow you came along way. The staff here is the reason I have 2 units. They are the best.! EXCELLENT , CLEAN FACILITY. GREAT SERVICE. VERY EXCELLENT SERVICES . WE WILL REFER SOME ONE ELSE. Sometimes I just forget what I was really supposed be doing when I'm there? Very friendly and helpful staff! Thanks for everything. I just moved items from a considerable distance to this facility and can highly recommend Peter. He was most helpful and kind with everything I needed! Peter has always been GREAT HELP over the past 8 years and will continue to be. Very nice gentle men who work there they know there business and do it right . Knowing that your stuff is safe and in competent hands makes me feel a lot more confident and secure leaving it there. Grat facility, excellent place to store your items. Josh and Peter are very friendly and helpful. They have security cameras on the premises. I would recommend this place to all my friends and family.They also have U-Haul !!!!! Best prices in the valley. Just rented today, and the site manager was excellent! Showed us a few options, and helped us front to back with everything we needed. Awesome job! Josh and Pete are both very professional. But more importantly helpful and friendly. And they keep the complex in tip top shape. I've been renting there since June. Prices are very reasonable. I'll be going later this month to get another storage unit. Additionally, I've rented their U-Haul trucks too. They are great guys. I recommend this location to anyone, if you're looking for a uhaul truck or uhaul accessories. As a first timer, I left completely satisfied with the timely service and genuine staff. Although, I only rented a 8' bed truck to relocate a motorcycle for a total of 2 hours. Great service. Always helped me with storage and uhaul. Thanks. DESERT SELF STORAGE IS GREAT. PETER IS ALWAYS AVAILABLE WHEN WE HAVE NEEDED HIM AND HAS ALWAYS BEEN VERY PLEASANT AND COURTEOUS. I WOULD RECOMMEND DESERT SELF STORAGE TO ANYONE. ITS ALWAYS GOOD TO KNOW THAT SOMEONE LIVES ON PROPERTY WHERE YOUR STORING YOUR THINGS. ITS LIKE EXTRA SECURITY OR PROTECTION. THANK YOU PETER. Peter is great to work with. The rates are great and they are helpful too. If you need storage, I would highly recommend Desert Self Storage. 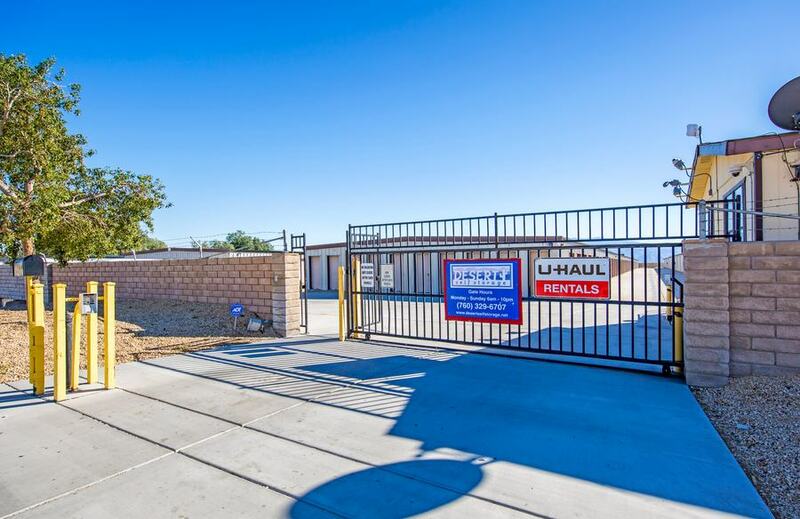 Looking for great self storage options in the Coachella Valley? Desert Self Storage is ready to meet your needs! Our facility is located at 66251 Dillon Rd in Desert Hot Springs, CA near Sun Grow Consulting, Mariscal Cactus and Succulents, and Marios RV Repair. We’re just a short jaunt south of Desert Hot Springs and easy to access from the area communities of North Palm Springs, Sky Valley, Whitewater, and Bonnie Bell. We’re confident we have the perfect storage unit to meet your needs. Come see us! 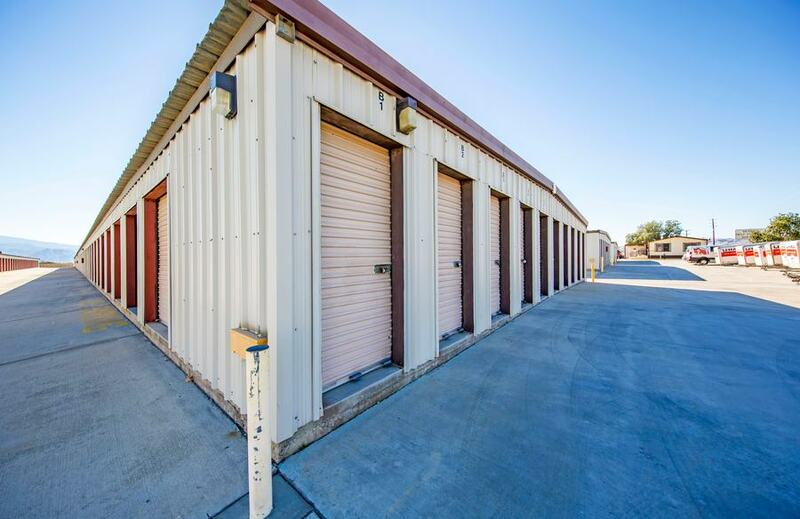 Our affordable storage facility offers residents and businesses of the Coachella Valley the clean, quality storage units that are essential to a successful move or storage project. We do whatever we can to ensure that your experience at our facility is to your standards, and we strive to provide a safe, clean environment to meet your storage needs. Our facility is well-lit, well-kept, and equipped with a variety of fantastic features. We offer drive-up access to make moving your belongings into your unit easy for you, and we can even rent you a truck so moving day goes more smoothly for you. To top it off, our resident manager lives on the property keeps a watchful eye over all activity on the property. Come visit us and let us solve your storage problems! SELF STORAGE MILESTONE: HAPPY 1-YEAR ANNIVERSARY TO JOSHUA NEBGEN! Here at StaxUP Storage, we know our success is due to our wonderful team. The care they give our renters is unparalleled and we want to highlight their milestones along the way. Below is an interview with Desert Hot Springs, CA team member Joshua Nebgen, who is celebrating his 1-year anniversary with StaxUP Storage. You can meet Joshua at Desert Self Storage in Desert Hot Springs, CA. Joshua: I was actually looking to break in to the apartment side of property management but figured this was a good way to dip my toes in, and as it turns out this side is more fun!! Peter: What’s the biggest thing you’ve learned about this industry? Joshua: Never realized how many storage facilities there are around until I started here, now I see them everywhere. Joshua: I’m getting a degree in mathematics and I do enjoy solving math puzzles and working on the unsolvable problems in mathematics like the Traveling Salesman Problem. When I’m not being a geek I’m knitting and Netflixing. Peter: What’s your favorite thing to do in the city? Joshua: I live almost across the street from the Palm Springs Aerial Tram, I like to go up on stormy days and hang out at the mountain station. Peter: What’s your favorite restaurant in the area? Joshua: Tropical, it’s a Cuban/Southern food fusion thing. Peter:Would you like to give a shout-out to anybody? Joshua: I’ll give a shout-out to Pete Hoff the Property Manager here, he’s a good guy and always making me laugh!! Here at StaxUP Storage, we know our success is due to our wonderful team. The care they give our renters is unparalleled and we want to highlight their milestones along the way. Below is an interview with team member Pete Hoff, who is celebrating his 5-year anniversary with StaxUP Storage. You can meet Pete at Desert Self Storage in Desert Hot Springs, California. Colby: How did you start working in self storage? 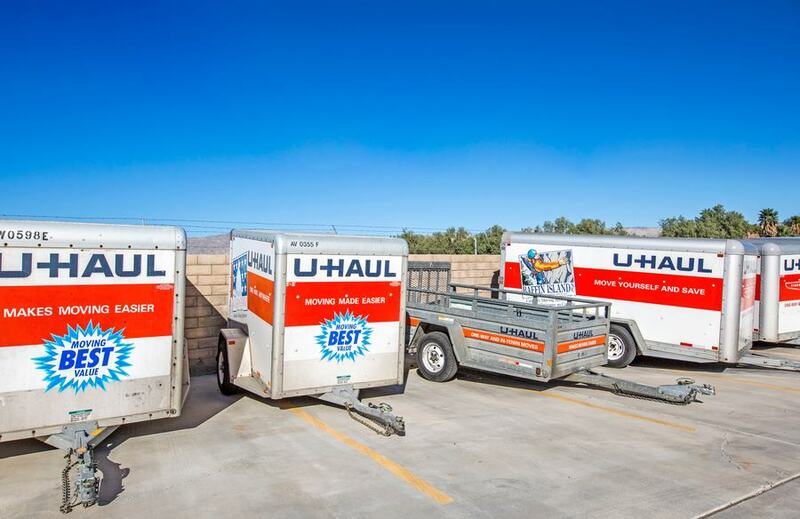 Pete: When my wife and I dropped off a U-Haul truck here at Desert Self Storage. My wife told Barb and Rick if they needed anyone for part time work to call Pete. I was retired and living here in DHS. I got a call six months later and here I am. Colby: Is it what you expected? Pete: Didn’t know what to expect and boy what a ride it’s been. Colby: What advice would you give someone who is just beginning a career in self storage? Pete: Make sure you fill out all the paperwork correctly, especially the addresses and phone numbers at the time of the rental and you should be just fine. Colby: What are your hobbies when you aren’t at your facility? Pete: Living the American Dream with my BFF! Colby: What advice would you give someone moving to the area? Pete: Be ready for the wind and the heat! Colby: What’s your favorite thing to do in the city? Pete: Finding the best breakfast spot in the Low Desert. Colby: What’s your favorite local restaurant in the area? Pete: Pho Vu located in Rancho Mirage. Colby: Would you like to give a shout-out to anybody? Pete: To everyone who has been part of my storage journey! Summertime is officially here and the weather is heating up across the country. This especially applies to the StaxUP Storage Desert Hot Springs, California facility. Temperatures are expected to be high next week, but don’t let that stop you from coming by for the customer appreciation day being held on June 9th from 11AM to 3PM. We spoke with Facility Manager Peter Hoff to get caught up on the details of this event. While it may be hot enough outside to cook the hotdogs on the pavement, you can beat the heat with Peter and his team inside the facility where the food will be served and the raffle entry can be made. Remember we are here to serve the self storage and RV parking needs of the Desert Hot Springs, CA community. Come on down and see us when you need us! The temperatures may be high in Desert Hot Springs, California this time of year, but that certainly didn’t stop the recent customer appreciation day from being a smashing success. This month, the event centered around the free raffle and some tasty food hot off the grill. We caught up with Peter Hoff, Manager at StaxUP Storage on Dillon Road, to get his take on the event. One lucky customer won a free month’s rent in the raffle. According to Pete, the woman who won was really excited and had an immediate use for the freed up money in her budget. We love to hear stories about happy customers, and these events are so important to show how much we care about their experience and their business. We’ll look forward to the next one!